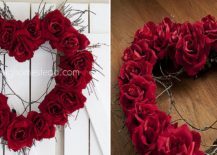 It is that time of the year when the festivities of Christmas and New Year are a distant memory and life seems a bit dull and listless. 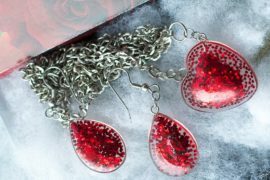 But just when you think everything is moving downhill, you have something to look forward to – Valentine’s Day. 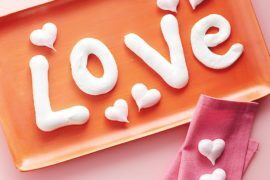 Yes, we have all been there before; few days in a year can be as taxing as February 14th for those who are single. It is as bad as the wedding of a cousin where you end up all alone! Maybe there are occasions when it is even worse. 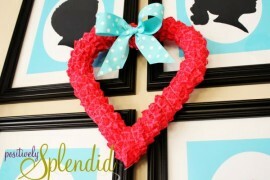 But for those planning on celebrating the big day or even that weekend, a few DIY ideas can come in pretty handy. 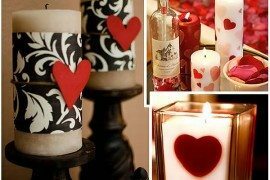 There are plenty of Valentine’s Day crafts and homemade delicacies around. 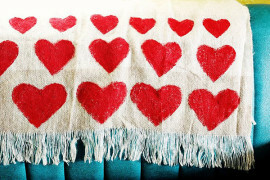 But today we turn our attention to a select few that are easy, eye-catching and filled with a distinct red tinge. 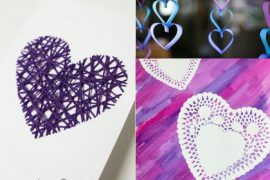 Yes, we are focusing on a color that is most popular each year when February rolls around! 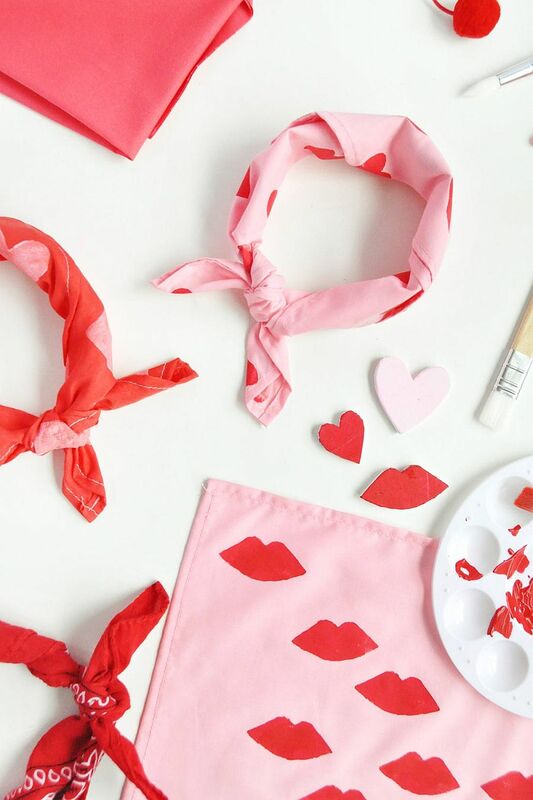 From mouth-watering treats to bright home decorating ideas and lovely gifts – here is a look at the 10 best red DIY crafts for Valentine’s Day. 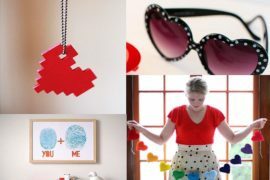 As Valentine’s Day draws nearer, getting your bedroom or your entire home ready for the day often means inserting plenty of heart-shaped motifs and a ton of red. Garlands made out of bright red paper are the obvious choice and they help invigorate everything from the stairway and the headboard wall to the fireplace mantel and the entryway. 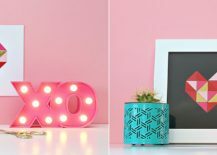 Bright ‘hugs and kisses’ signs, glittering words that shout out ‘Be Mine’ along with some lovely candles et the mood ever so perfectly. 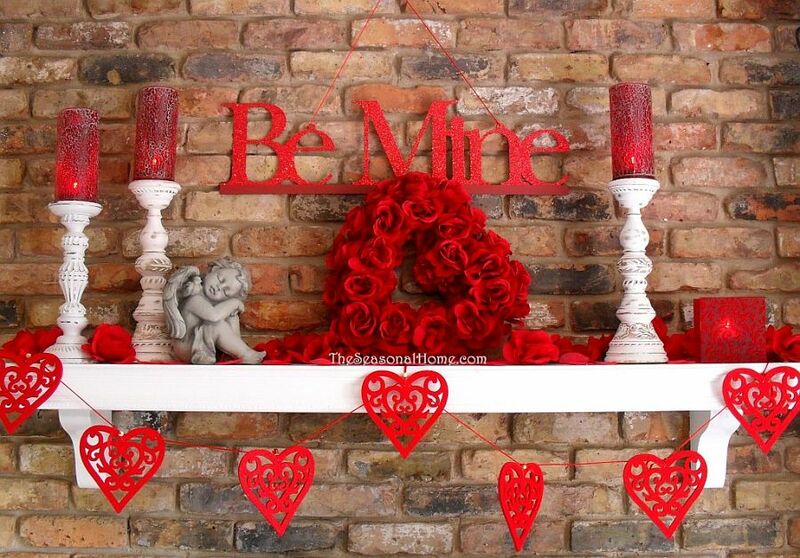 For those who prefer a more minimal approach, there is the gorgeous red heart on the wall that seems even more striking thanks to the white backdrop. 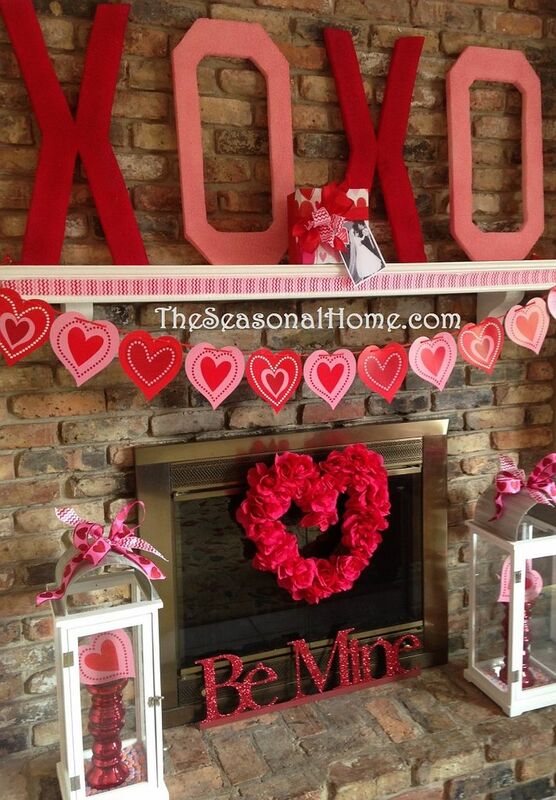 Red Delights All Over the House! 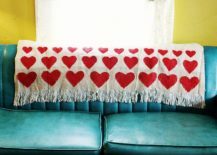 From the obvious decorations in the living room we move on to something much more permanent and gorgeous as the chic DIY blanket with its unassuming heart print. 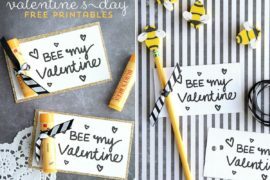 This one is probably the classiest gift that you can make this Valentine’s Day and it will serve you well even beyond the second week of February. 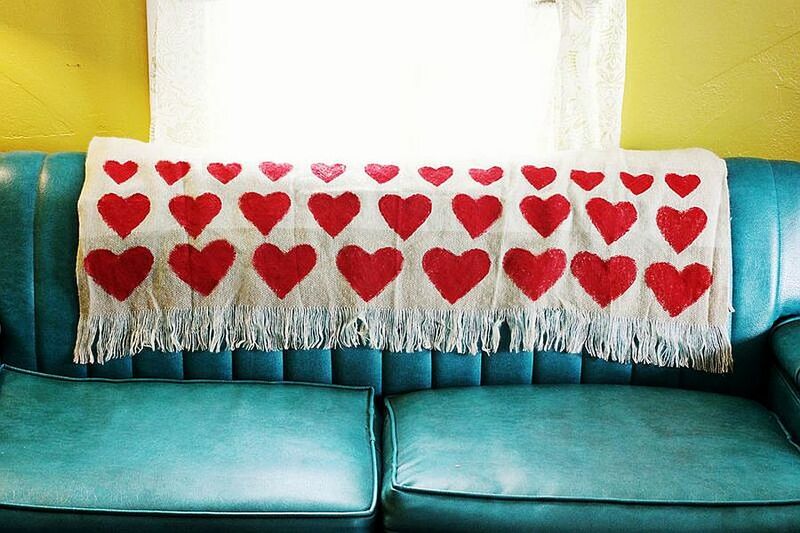 The blanket feels so very understated and yet completely apt for the big day. 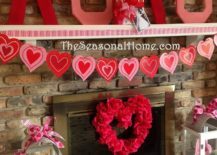 The geometric paper heart art and the heart-shaped Valentine’s Day wreath with red roses also add plenty of colorful zest to your interior without taking up major space. 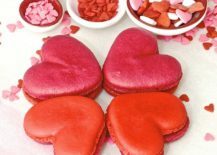 Decorating your home is not the only priority on the day of love and you also need a tasty treat and a wonderful homemade gift to complete the celebration. We have the perfect and one of the tastiest delicacies to get you started in the right direction! 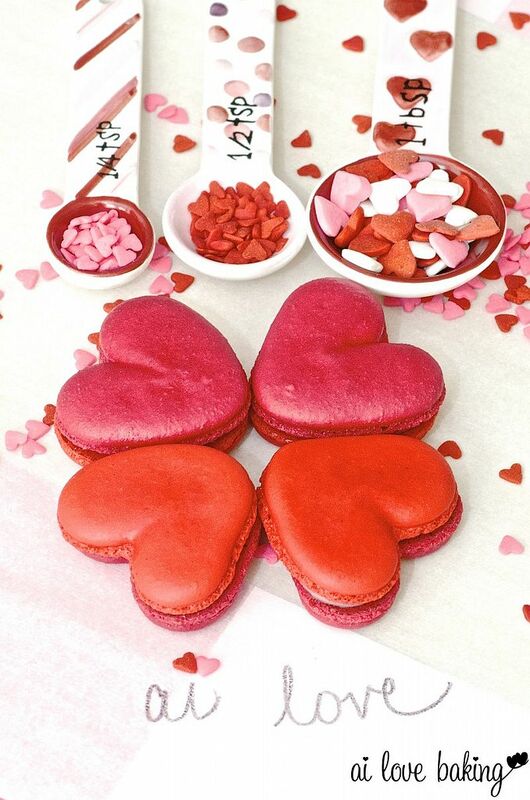 The homemade heart-shaped macarons should satiate your craving for something sweet. 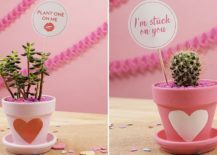 Then there is the cute and green DIY Valentine’s Day planter idea that can add pastel hues, red and a dash of green, all at the same time.